Singledou[b]t: Crushing on an Accessory? Ok, so I am not the girliest of girls. And part of me thinks I am not all that fashionable...but more and more lately I find myself getting obsessed over articles of clothing or accessories. I find something and I latch on for dear life. First World Problem!!! Yesterday, I was minding my own business, spending way too much time reading all the lovely blogs out there when I stopped over at Our Reflection. Laura was showcasing her awesome outfit and accessories, when I noticed a bag she was carrying. It was a cute bag and I thought, "that's cute." When suddenly, I saw in the description, "Camera Bag"
I immediately stopped reading and clicked on the link to Epiphanie's website. That's when I noticed they also had it in red. It gets better, people. I started reading the description and I fell even more in love. It fits "up to 15" laptop or iPad, camera body + attached lens, 1 long lens, 2 extra lenses, wallet, keys, cell phone, and other miscellaneous personal items"
I have been looking for a camera bag for YEARS that doesn't look like 1) some kid's cloth lunch bag 2) an awkwardly long backpack that barely fits my camera. I have multiple lenses and a computer. This one is PRETTY to boot! The downfall is that it costs more then my measly little budget can afford. I am sure its worth every penny but I am a starving artist and this month more on the starving side then artist. A girl can dream though. And tonight, I will be dreaming of this bag. *Disclaimer. The above comments are totally my own. Neither Epiphanie nor Our Reflection paid me in any way fashion or form for my opinions above. 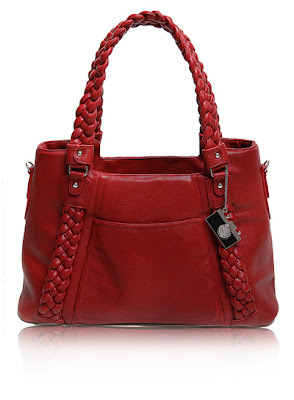 I am simply a girl in love with a bag. It's a great camera bag because it looks like a purse! I kind of just throw my camera in whatever bag I'm using... probably not the best idea. Visiting from Current Crush. Isn't that always the way? The prettiest and most practical things are the most expensive. I could do with a bag like this myself. haha... Its actually a comparable price for a well made camera bag but its just not in my measly little budget. THe ability to eat win... Thanks for stopping by! I really want this one!.. Wow, that is incredibley cute! I'm not a photographer but I sure wouldn't mind owning that bag. 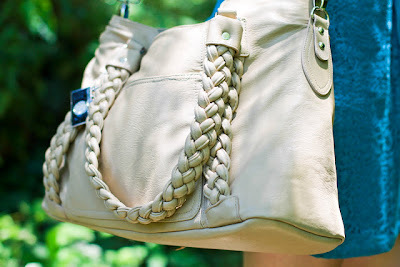 I also read Laura's blog & I too fell totally in love with her camera bag when I saw it! It's gorgeous! I want it soooo badly! Stopping by from Kristi's hop- I can totally see why you love the bag! We're in good company- posted about thrifty fashion. Hope you hop by to see. Cheers! I have an Epiphanie Bag, the Lyric, and it's FANTASTIC. It's a bit heavy, but it IS super padded, so I don't REALLY mind. They're really great camera bags. You're gonna die but I WON an Epiphanie bag when she first started her company. I LOVE my bag so much. It is gorgeous! I too have been eyeing up the Epi bags thanks to Laura!